Over the last few decades, we’ve slowly gained the ability to digitally affect the human senses. First, of course, there was smell-o-vision, which releases a combination of chemicals to simulate a specific scent (smoke, chocolate, oranges, etc.) With electrical stimulation of our nerves, we can simulate the sensation of touch. In the last few years, we’ve seen retinal implants that let digital circuitry directly interface with the optic nerve, creating the sensation of sight. For some reason, though, despite the myriad of powerful uses, the one sense that we haven’t electronically manipulated is taste. Now, thanks to a new electrode developed by the National University of Singapore, that might soon change. The human tongue, as you may already know, is capable of sensing five different tastes: saltiness, sourness, bitterness, sweetness, and umami. These tastes are perceived by taste buds, which react in different ways to various chemical compounds (sodium ions often trigger the salt perception, acidity triggers sourness, etc.) The Singaporean synthesizer, though, developed by a team led by Nimesha Ranasinghe, isn’t that clever it’s just a silver electrode, placed against the tongue, that uses electrical current and slight changes of temperature to simulate saltiness, sourness, bitterness, and sweetness. 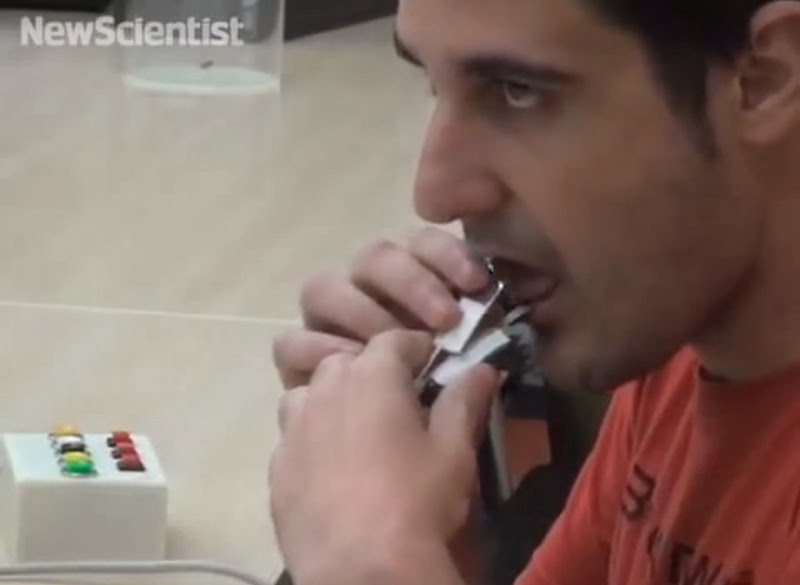 Nevertheless, and despite the rudimentary design of the electrode (which is pretty big and clunky, too), it appears the synthesizer is effective at simulating taste. ”We have found noninvasive electrical and thermal stimulation of the tip of the tongue successfully generates the primary taste sensations,” Ranasinghe says. The device could also be redesigned in such a way that the mouth can almost be closed with the electrode in place. The possible applications for the taste synthesizer (pictured below) are wide and varied, from healthcare through to gaming. If the device can be reduced to the size of a lollipop, a diabetic person or simply someone trying to avoid sugar for dieting reasons might use it to simulate the taste of sweetness. Cancer patients undergoing chemotherapy might use it to regenerate or improve their sense of taste while undergoing treatment. For gamers, the device might let you taste the various objects/foods in a virtual world or, when you die, the game might literally put a bitter taste in your mouth. 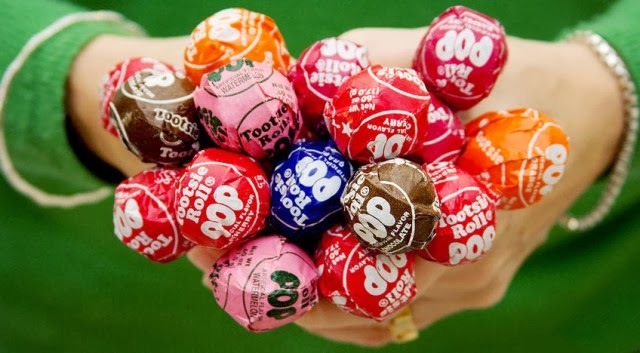 The team has also developed Taste Over Internet Protocol (TOIP), so it’s theoretically possible for a website, friend, or loved one to trigger a specific taste sensation in your mouth. We’ll leave the exact possibilities of TOIP up to your own imagination. Moving forward, the Ranasinghe and co want to add the fifth (and perhaps most important) taste, umami. They also acknowledge that smell and texture are vital components of gustation (tasting), and thus want to add those effects to their taste synthesizer. There’s no word on commercial availability, but to be honest I’m surprised that no such a device has been marketed before we’re talking about a pretty low-tech gadget here, with some really exciting applications.